At Old Glory Guns and Ammo we believe good business is about good people! Our staff aren’t just helpful and friendly; they are knowledgeable and passionate about the products we sell. 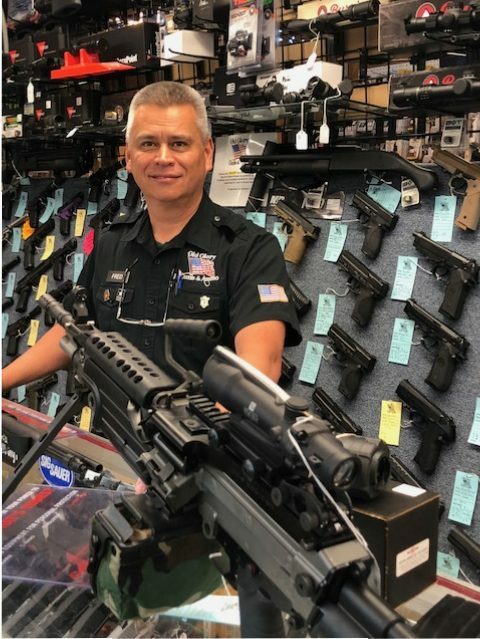 Even though they deal with firearms and accessories day in and day out, they most likely have just as much fun selling them to you as you do buying them! 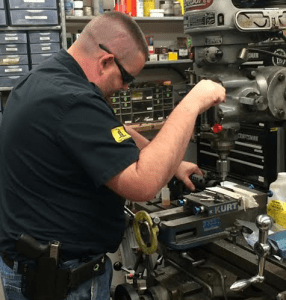 Previous to owning Old Glory Guns & Ammo, Dana spent 25 years with Snap On Tools. He has been a firearms enthusiast and collector for his whole life. 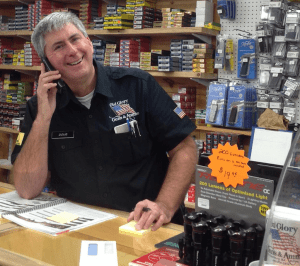 In 2014 he retired from Snap-on and he and his wife Becky purchased State Line Gun Shop and transformed it into Old Glory. Dana is always searching for exciting new products to expand what Old Glory offers. You’ll see the influence of Dana’s days running a tool truck when you come in the shop – don’t forget to look up or you might miss some of the many different products for sale! Dana and Becky also own Fieldstone Farm in Rindge where they raise beef cows and chickens, have a sugar house and Abe the buffalo. 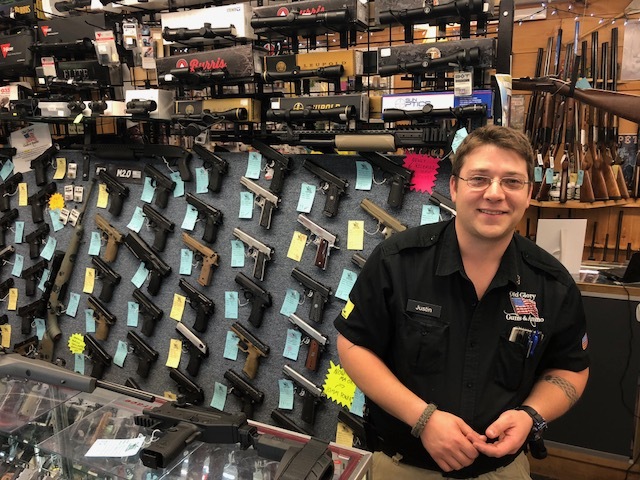 Doug is the Purchasing Manager and also works on keeping us compliant with the ATF and has been with Old Glory since our start in 2014. He was in the Food Service industry for 32 years prior to entering the Firearms Industry in 2012. Doug enjoys motorcycle riding, sleep time & warm summer walks on the beach with his wife Dorothy. Doug and Dorothy have no children…other than their cats! Eric is the lead gunsmith here at Old Glory and has been with us since the beginning in 2014. He worked as a gunsmith 7 years professionally prior to Old Glory. Eric lives in Mason with his girlfriend Melissa where he is a Lieutenant on the Volunteer Fire Department. Eric’s hobbies include 2 dogs, music, evening classes at school, making custom pens and don’t forget his 4 goats! Justin just joined us in 2017 as the Customer Service Manager for Old Glory. 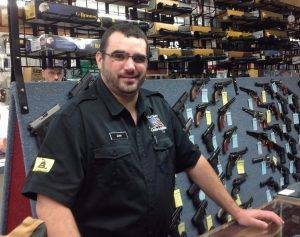 He has been a firearms enthusiast his entire life with a particular interest in the 1911. Prior to working at Old Glory, Justin was in the aviation industry for 10 years specializing in private/corporate aircraft and high end customer service. He currently lives in Shirley, MA with his wife Cathy and son Eben. In his off time, Justin enjoys working around the house, playing imaginative games with his son, and waging his war against bowling pins by shooting as many of them as possible. Needless to say, he typically isn’t welcome at any bowling alleys. But here at Old Glory, we take comfort in knowing that if pins attack, we have a crusader to take them on! Ron has been with Old Glory since 2015. Ron proudly served in the United States Navy from 1962 until 1966 and then with the U.S. Postal Service until 2004. He worked at Blue Northern Trading Company until 2015 then joined us. Ron lives in Fitchburg with his wife Elly. When he’s not working at the shop he’s probably cutting wood on his property or going for a long walk to get the exercise his doctor tells him he should get! Tim is part time here at Old Glory but is a big part of the Sales Staff. Tim lives in Townsend, MA with his wife. They have a son and two daughters that are 27, 25 & 21. 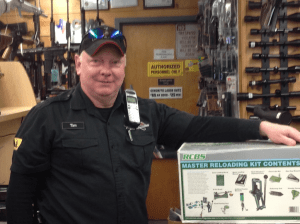 His work history includes 10 years in the firearms industry, roofing material sales, automotive service and trucking. In the small amount of time Tim is NOT working he enjoys shooting & reloading, golf and an occasional cigar on the porch. Dan lives in Gardner, MA with his wife Doreen and boys Levi & Devin. Full time he has been a cabinet maker and installer for 10 plus years working for himself, Old Colonial Woodcraft & Woodmeister. He is currently an engineer working with CAD software to develop architectual and fabrication drawings for high end residential projects. 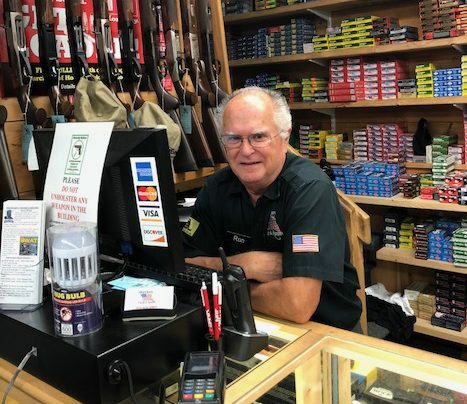 Dan is an avid shooter and participates in USPSA Action Shooting, is a musician, Pop Warner football coach has been working with us at Old Glory since we opened. We appreciate Dan’s extra help with our Facebook posts! Fred joined our team in April 2018. 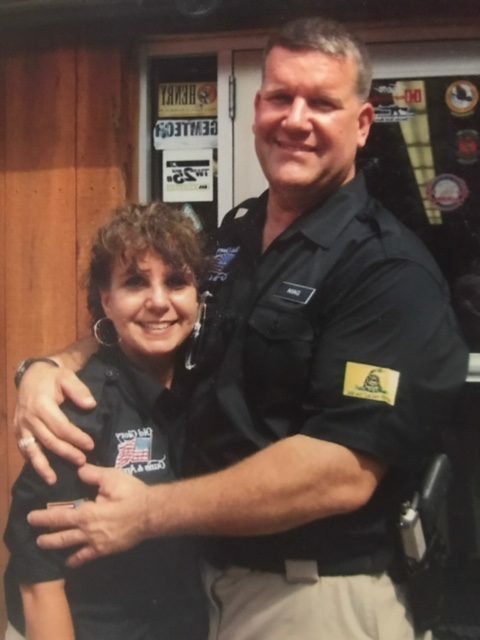 He is a certified combat pistol and basic safety instructor, retired 32 year career law enforcement professional and served in the U.S. Army as an Infantry NCO. Fred has been married for 33 yrs to the same beautiful woman and has 3 amazing children. 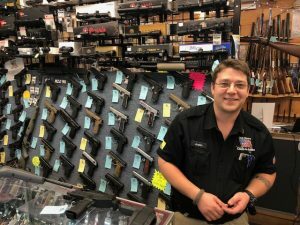 With Armorer certifications from several weapons manufacturers he is knowledgeable and very willing to help anyone make that decision on which firearm is the right one. Fred is also an avid Metal Detector and spends his spare time out in the woods of New England searching for old cellar holes.